Cool Climate Vignerons – Aosta Calling! So, what does a warming climate and the GFC have in common? Both have impacted the inland wine regions significantly over the past decade. Hotter and drier growing seasons; and a reduced demand for many of the traditional varieties planted during the wine boom of the 1990’s and the first half of the 2000’s have led growers to select newly emerging and more climatically suited varieties to plant in these regions. Nero d’Avola, Vermentino, Fiano, and Montepulciano to name a few are becoming increasingly common; and now understood by many wine consumers in Australia. But what about the cooler areas? While both factors have impacted these regions as well, there has been little focus on the selection and importation of ‘alternative’ varieties to plant here. 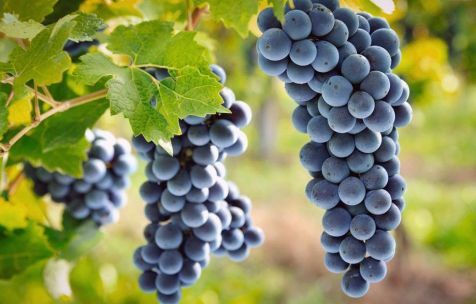 Fortunately, at the moment demand for varieties such as Pinot Grigio, Prosecco and Tempranillo are keeping growers optimistic. But as sure as night turns to day demand for these will at some point wane as is currently the case for Sauvignon Blanc. What will growers pin their hopes on then? It is hard for many to see past the Pinot Grigio aura at the moment. But venture forth into the far north-western corner of Italy and you will discover some candidates with great potential. The Aosta valley harbours an abundance of autochotonus varieties little known outside the Savoie. These include Fumin, Cornalin, Altesse, Petit Rouge, Vien de Nus; and the variety Petit Arvine which was actually introduced from the Valais in Switzerland. Petit Arvine (ampelographic drawing at left) I believe, has great potential as a high quality white wine grape for cool areas. It has lifted aromas of pear and white stone fruit on the nose; with a long textural and well-balanced palate. Similarly suited, Cornalin (pictured at top of page and inset above) produces a deeply coloured, well-structured red wine with aromatics of dark berries, spice and a hint of earth. I’m in the process of importing these two varieties into Australia at the moment. So watch this space! Comments Off on Cool Climate Vignerons – Aosta Calling!